Chavismo as it is currently formulated does not seem like a sustainable form of governance or even a viable electoral contender. For the “democratic revolution” to continue, some aspect of the status quo will have to change. The Chavista leadership can stay the course and be voted out of office; it can carry out reforms significant enough to eventually recover its support; or it can seek to further erode the country’s democratic institutions in order to perpetuate its hold on power. This is a better way of examining the issue than the typical "Venezuela is going to collapse" message that I tend to hear. There may or may not be some sort of collapse--one has been predicted almost constantly for years. The broader point is that the status quo appears unsustainable. Whatever Chavismo has been will change. If the economy continues to fail--and there is no reason to think otherwise--then politics will have to change. Notable is the fact that the Washington Office on Latin America is an organization dedicated to human rights and global justice. It's just increasingly difficult to find anyone but die hard Chavistas who believe the current path can actually work. Back on January 30, 2006 I wrote my first blog post (and actually forgot to put a title, which I never bothered to correct). I've written a total of 3,676 blog posts over the years, and it has been a lot of fun. Fun is the reason I keep doing it, even though now for years I've heard people saying that blogging is dead. I guess I don't really care if blogging is dead as long as I like keeping my blog alive. It's fun because I get an audience for stuff I'm thinking about, I get a lot of response (now usually through Twitter rather than comments), I interact with students, I meet people I never would've met otherwise, I get invited to conferences, I talk to reporters, and I even probe research ideas. Since I started, I've published two books, co-edited one, and published a bunch of articles, so it's not taking away from my core professional duties. Given that, I don't really know why my colleagues don't blog. They're missing out. Way back in 2001, I published an article on U.S. recognition policy toward Latin America. I outlined the development of that policy, from the original Jeffersonian ideal of "de facto" recognition of government (meaning if the government exists, we recognize it) to the subsequent attachment of all kinds of strings. This is not the same as recognition, but I thought of that when I saw news of Raúl Castro's speech (text here in Spanish) about the strings Cuba would attach to normalizing diplomatic relations with the United States. The wording here is a bit tricky. He says that "re-establishment of diplomatic relations" is a precursor to "normalization of bilateral relations." I am not sure what precise difference he has in mind here. The two countries are so tightly bound together that bilateral relations likely will never be normal. To get to that end of "normalization," he has strings that clearly won't be honored by the United States government anytime soon. Coincidentally, I was just talking about Guantánamo to my U.S.-Latin America class on Tuesday. These days it exists largely to spy on Cuba and to house people we've kidnapped in the Middle East. It should be returned to Cuba but politically it's hard to see that happening. As for compensation, I can only see such a discussion happening far into the future, when all policy makers are far removed from the revolution. Coming back to the issue of strings, this is a logical move by Castro. He is asserting the Cuban right to have strings but not using them--as the U.S. did with recognition policy--to block progress altogether. A country suffers through years of austerity, which starts to generate unrest as people are told this is the only way go even though it never delivers on its promises. One result is that leftist parties, sometimes with radical rhetoric, grow in popularity. Polarization increases. People respond to the idea that there is more than one single option for the economic future of their country. Eventually this leads to winning national elections. Others proclaim dire warnings of the disaster that will befall any government seeking to break out of orthodoxy. They say leftist promises can't be kept. At some point you end up with a game of chicken, as the government pushes forward with policies that other international actors say they will not accept. Greece, welcome to the Latin America of 10-20 years ago. You should take a look around to see what worked and what didn't. "Countries in South America are using our current laws against us," he said in a statement. Laws create incentives. If you have a particular policy goal, then you have to craft laws in a way that achieves those goals. If your goals are not being reached, then the laws need revision. The idea of impoverished Central Americans "using our laws against us" is ludicrous. What's happening is that our laws are creating incentives we don't like. That means we need to rewrite them. And did you happen to notice the other problem with his statement? He does not seem to have a good grasp of geography. Hugo Pérez Hernáiz looks at the conspiratorial angle of Nicolás Maduro's big speech. I brought the speech up today in my U.S.-Latin American Relations class to highlight the complexity of understanding the U.S. role in the region. On the one hand, the U.S. has been interventionist and paternalistic. On the other, there is a false temptation to conflate hegemony with being all-powerful. The Obama administration (I assume) would be perfectly happy if Maduro were forced out, but that does not mean the U.S. is capable of manipulating oil prices right now to achieve that end. In other words, the U.S. government has been guilty of so much that it's easy to assume it is responsible for everything, even though it's not. Iran-Contra, for example, was completely crazy but did happen. But that does not mean the U.S. is automatically responsible for everything else. So I want my students to fully understand how the United States has dealt with Latin America, which is often unpleasant, but also to remain cognizant of what the U.S. doesn't or can't do. Assuming the United States is responsible for everything necessarily entails assuming that Latin American governments are responsible for nothing. And that, in sum, is actually what Maduro wants. Oil prices in particular will hit Venezuela very hard, but also Bolivia, Ecuador and Colombia. The rest of the region will actually benefit. That's true of Central America, which is also so closely tied to the United States (along with Mexico) that it'll benefit from the U.S. recovery. I've written about commodities a million times. You'll hear plenty of blather about ideology, market policies, trade, etc. but when push comes to shove, Latin American economic growth sits on commodities. Last October Ernesto Samper gave a speech about industrialization and in my opinion this needs to gain more traction. Venezuela is tanking for a number of reasons, but the core problem is almost total dependence on oil. At least in recent years, Latin America does not get a lot of attention in the State of the Union. For the most part, this is a good thing. The region tends to be front and center when U.S. policy makers are hysterical about threats, which leads to bad policy (e.g. President Reagan's 1988 speech glorified the Nicaraguan "freedom fighters"). In past addresses from President Obama, the region has made an appearance primarily in terms of immigration and free trade. Once the Colombia FTA was went into effect in 2012, the latter fell off. Nothing to argue about there. Nice job slipping in the Pope as well, in part a hat tip to the Vatican's role in getting the two sides together. I have to imagine this is the first positive mention of Cuba in any president's SOTU. The Republican shadow SOTU mentioned neither immigration nor Cuba. Indirectly there was one sentence: "We'll work to correct executive overreach." I wonder whether this is a bone to the right but an acknowledgment that openly opposing the executive actions for immigration and Cuba would be too politically costly. Update: Dara Lind at Vox points out that the Republican response from Carlos Curbelo was different in Spanish. It mentions immigration reform approvingly, hedges on "correcting" executive overreach, and criticizes Cuba policy. He mentioned Cuba because he is the son of Cuban exiles (and is a Republican from Florida). It's worth mentioning too that sending a different message in Spanish has been common for Republicans in presidential races. I had actually been thinking of writing a post to sort out what "economic war" in Venezuela actually meant and how we would measure whether it was happening. I may still do so someday but in the meantime I highly recommend the exchange between David Smilde, Steve Ellner, and Chris Carlson at Venezuelan Politics and Human Rights. My own question, which they start to get at, is where to locate the uncertain line between "economic war" and "not selling through legal channels if you can't make a profit." I am still not sure. QUESTION: Hi, thanks so much for doing this. I just wanted to see how the State Sponsor of Terror designation might affect the formal process of converting the Interests Sections to embassies, if that fits in the timeline at all? SENIOR STATE DEPARTMENT OFFICIAL: Well, the two things are fairly separate. I will say that the process that we’re undertaking as part of the review of the State Sponsor of Terrorism list is underway. And as you know, that’s a fairly – that’s outlined in the law. There is a process that we undertake, and it begins with a review of all of the evidence and the intelligence. And so that has begun. And the President asked that the State Department undertake that review and complete it with a recommendation to him within six months. We will do so. I don’t, frankly, believe it will take quite as long as six months, but I don’t know exactly when that will be complete. And I certainly wouldn’t prejudge the outcome. But as you know, it has to include both a review of the past six months and whether or not the government has provided any support for international terrorism during that six month period, and then assurances that the government involved will not support international terrorism in the future. So we will undertake the review and gather all of the data, and then make a recommendation to the President, and then – sorry – then the President will send that information to the Congress before he makes a decision on removal or retention in the list. QUESTION: Hello? Yeah, sorry. Thank you so much. I just wanted to follow up on – about the terrorism designation. When was that review initiated? And I know you don’t want to prejudge the outcome, as you said, but in past re-establishment of diplomatic relations – you gave the examples of Burma and Kosovo and Vietnam – what was the experience there and how long did it take? Was that an obstacle to those talks? Because from the Cuban standpoint, we heard Raul Castro dedicate much of his speech to the National Assembly right after the December 17th announcement about the terrorism designation. So it seems like this is going to be a stumbling block for you all. SENIOR STATE DEPARTMENT OFFICIAL: Well, I guess the first thing I will tell you is – in terms of the process beginning, it began the same day the President made the announcement. Because when the President tells you he wants you to do something in six months, you basically look at your watch and say, “Let’s get started.” So we certainly went to work as soon as the President’s announcement was made. And it’s not – in many ways it’s not all that complicated. In other words, it doesn’t have a huge number of steps. We have to review all of the facts and go to all of the agencies that might be involved in having information. But we’re going to do this as aggressively as possible and as quickly as possible. And for that reason, I don’t necessarily see there being a real problem in the re-establishment of embassies necessarily being held up by review of the State Sponsor of Terrorism list, because my hope would be that as we do this we will be doing it as quickly as possible and we will have an outcome before we are able to move ahead on embassies. So I’m pretty optimistic that in timing questions – not in necessarily outcome, but in timing questions – people won’t end up sitting around saying, “Damn, we can’t do anything because the State Department hasn’t finished its job yet.” Now, there is a 45-day period where the President has to submit a report to Congress 45 days before removal from the list, for example, would take effect, if that’s the end result of the recommendation. So there is a sort of waiting period before there’s a removal, if removal is the decision. Nevertheless, if that decision has been made, one could envision other decisions going forward even while that waiting period was taking place. But again, I’m not prejudging that. If the decision was for something to remain on the list, obviously we would have to be looking at something quite different. So I do think that in terms of timing, we will have the data we need to make a decision on how we move forward in enough time. This is a set forward from one of the last times the media asked about the designation, less than a year ago. At that time we were told there was actually no process at all for review. Now it's "not complicated." To sum up, the review will be completed by June 17. Given that Cuba is hosting talks to end the Colombian civil war and transform the FARC from a guerrilla organization to a legitimate political force, there's no terrorism connection in Latin America. Of course, they will be looking at the North Korea arms shipment. I'll be curious to see how they deal with that, but I don't think it merits keeping Cuba on the list. We should have every expectation that Cuba will be removed from the list, if for no other reason the president would've have announced it without a clear sense of the outcome. Despite its hyperbolic subtitle, Malcolm Byrne's Iran-Contra: Reagan's Scandal and the Unchecked Abuse of Presidential Power (2014) is a carefully constructed and highly detailed account of the Iran-Contra scandal, using both newly declassified documents (the author is Deputy Director at the National Security Archive) and interviews. It's not a fast read, but it's a very good one. The core contribution is to cement the answer to the classic Watergate question, "What did the president know, and when did he know it?" The answer for Ronald Reagan was "A lot, and early on, then he lied about it." The overriding factor was Reagan's fervent desire to free the hostages held by Hezbollah in Lebanon and his utter disinterest in whether the actions--selling arms to the Iranians for their help, then using proceeds to fund the Contras in Nicaragua--aimed at doing so were legal. It becomes clear that he never expressed doubt about legality. He pushed for action and wanted results, so everyone took that as permission, even though they even would write that it was all illegal. Byrne notes concerns about Reagan's mental state, but also shows how Reagan kept up with key details and kept pushing. Basically, if policy was intended to free hostages, then for Reagan by definition it was legal. Others knew better, but didn't stop anything because the president wanted this done. Once it became clear the illegal activities would become public, they started lying and destroying documents like crazy. As John Poindexter described this destruction, "I decided that it would be politically embarrassing to the President at this point because it would substantiate what was being alleged...and so I decided to destroy it" (p. 269). When asked about his lying under oath to Congress, Oliver North said, "I knew it wasn't right not to tell the truth on those things but I didn't think it was unlawful" (pp. 314-315). North took Reagan's desires and ran with them, usually amateurishly. Sadly, he was well liked and respected (at the hearings later, one staffer testified and even entered a poem into the record about how he was thankful Ollie North walked the earth!) so had wide latitude. North, meanwhile, was a born liar. As soon as he helped get the entire project off the ground, he lied to anyone and everyone about anything, large and small. He literally lied constantly. George H.W. Bush (who as VP was present at many of the same meetings as Reagan) lied as well, and initially pretended he didn't have a diary, which had a lot of damaging information. Ironically, in his diary he criticized Secretary of State George Shultz for keeping a diary. Then on Christmas Eve 1992, very soon before he left office, he pardoned six key participants, which also had the convenient effect of preventing any more testimony from emerging that would incriminate him. A notable point of the book is how little anyone knew about Nicaragua, or Central America generally. And they didn't care. When Costa Rican President Oscar Arias started blocking Contra activity in his country, North wrote that "Boy needs to be straightened out by heavyweights" (p. 232). Iran-Contra is fundamentally about illegal actions in the executive branch, but it's also about U.S.-Latin American relations. The only reason North focused so much on Nicaragua was that Reagan (and all his aides) had a distorted, paternalistic, and simplistic view of what was happening there. Byrne makes clear that only a small fraction of relevant documents have seen the light of day. This is a topic that will deservedly keep producing new analyses, and don't be surprised if they show even more how deeply President Reagan and many of his officials were aware and supportive of illegal activity. Given its current positioning, we argue that Russia now has more influence in Latin America than ever before, even including at the height of the Cold War. I'm a bit torn here. In class I spend time talking about how the United States consistently overestimated the Soviet presence in Latin America, which led to overreaction. That does not mean, however, that the Soviets weren't present. And in my opinion the Soviets were more relevant than the Russians are now, especially in threat terms. This is very overstated, as I've argued before. This is part of a common meme of "losing Latin America," which is typically asserted with minimal evidence. The authors argue that no one is paying attention to Russia's presence in Latin America, yet looking back I see how Tom Shannon discussed it back in 2008. And that same year there was talk of a "new Cold War" that actually never happened. Simply put, Russia's presence in Latin America does not constitute a security threat to the United States. Chile is finally changing its electoral system (I've blogged ton on this over the years, with so many failed proposals), the infamous binomial system. They're moving to a D'Hondt method for choosing seats, a proportional representation system that allocates proportion of seats according to proportion of votes individual parties receive. The Chamber of Deputies will go from 120 to 155 seats and the Senate from 38 to 50. Further, parties cannot have more than 60% of their candidates from one gender. It will go into effect for the 2017 midterm elections. This debate has been going on ever since the military left power in 1990. The old system tended to benefit the right because it received more seats than votes. This goes along with other electoral reforms, such as voluntary voting and automatic registration. It's a big deal and a very long time in coming. Five years ago I published a book chapter on defining the Chilean transition (which was really fun to write, actually). These electoral changes mark a significant change--they're getting rid of the last vestiges of how the dictatorship wanted the political system to look like. The new system will shake things up because small (even radical) parties can gain seats on their own, which the Pinochet regime did not want. When I finished my dissertation in 1999, we were still talking about designated senators, so Chile has come a long way. As far as I can tell, Nicolás Maduro's two main goals for his extended trip (now at eight days) abroad are to get loans and to convince the Saudis to allow oil prices to rise. He appears to be succeeding in the former but I wonder about the latter. His statement about his meetings was all platitudes. "Se están abriendo opciones, puertas, para construir un consenso de una nueva etapa, no estamos hablando solamente de una recuperación circunstancial del mercado y de los precios, estamos hablando de una etapa, que significa la recuperación de los mercados, de los precios, y su estabilización en mediano plazo, para los próximos meses, para los próximos años. De eso se trata, de una nueva etapa de los mercados petroleros", expresó el jefe de Estado en una entrevista concedida vía telefónica a Telesur. There will be some sort of new era with happiness and stability for all. What I keep wondering is whether the Saudis care. Latin America doesn't matter to them strategically and I can't think of any reason they have a preference for who is president of Venezuela. As a matter of fact, the Saudis are unhappy about propping up prices for countries like...Venezuela. Third, there is Saudi Arabia. The kingdom is the driving force behind the drop in prices because it has grown weary of cutting its own oil output in order to prop up prices enjoyed by other countries, both in OPEC and especially outside of OPEC. How determined is Saudi Arabia? Very. It is now waiting for low prices to discourage investments in new projects such as Russia’s Arctic, Canada’s oil sands, U.S. shale drilling, and Brazil’s costly sub-salt projects in deep offshore waters. Yes, these are long-term projects that rely on long-term oil prices, but companies still tend to pay a lot of attention to what’s happening now. And Saudi Arabia can afford to wait. Even though prices have tumbled, Saudi Arabia – unlike Venezuela – has a large treasure chest of savings from past years and can weather a long period of low prices. The government is assuming a 32 percent drop in oil-related revenues. In addition, Saudi Arabia has some of the world’s lowest production costs, rivaled only by Iraq and some parts of Russia. Production costs in Saudi Arabia are about $4 to $5 a barrel, Naimi said recently. So Saudi Arabia is intent on waiting this out and they're in a position to do so. That Venezuela has no "large treasure chest of savings" is not their concern, which is bad news for Maduro. According to information from Stratfor sources, military commanders and auxiliary security forces known as colectivos will coordinate with the majority of PSUV congress members to prevent Maduro from returning to power once he returns to the country. Maduro is abroad on a state visit that took him to China and Russia as well as Iran, and he has so far not provided a return date. Venezuelan Defense Minister Gen. Vladimir Padrino Lopez, is also part of the delegation accompanying Maduro. Who knows what sources these are, but obviously it is something to watch. It does not take a genius to see that Maduro is in a very fragile political position, but that is a long way from a coup. Maduro has spent a lot of time talking about coup plots, but never one from within. If such a thing were to happen, the results can hardly be good. Given the reality of oil prices, there is nothing a new leader could do much differently at this point without unraveling the chavista project and thereby sparking even more conflict. --Latin American economies with open economies thrive more. --Latin American economies that reject neoliberalism thrive more. --Free trade is the answer. --Free trade is a capitalist plot. --Capitalism will set you free. 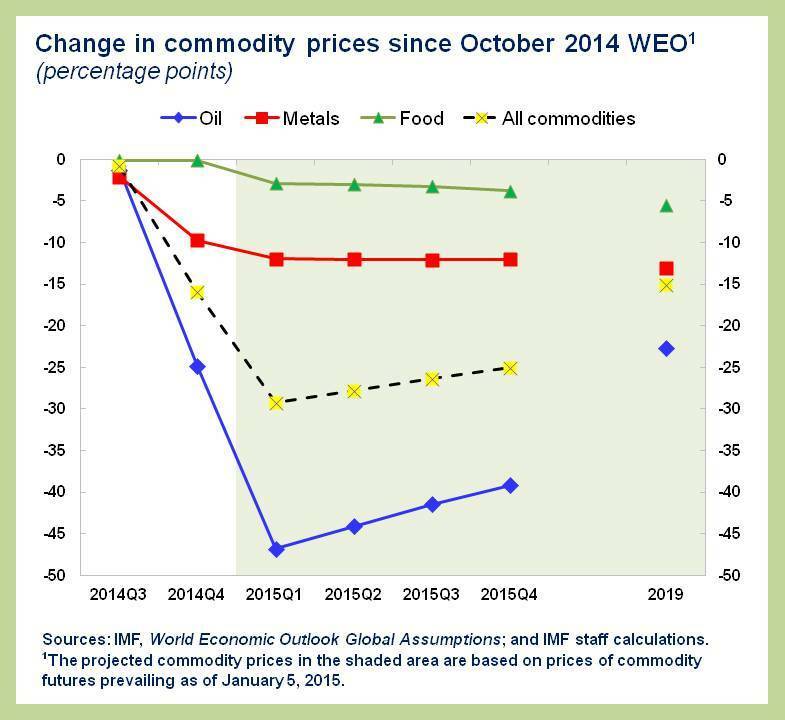 Instead, we should focus on the fact that commodity-driven economies will rise and fall with prices, and if an economy relies heavily on oil then policy makers will be tempted to believe prices will remain high indefinitely. When things go sour, they will run in desperation to China for money and insist it's all about investment. The end. With some exceptions, the politics of Cuba policy have been quite partisan, with Republicans generally opposed to liberalization and Democrats more in support. That has been changing in recent years. Indeed, we now see the opposite with the Senate Foreign Relations Committee. As it turns out, the Republican victory in the Senate helps President Obama. The previous chair, Bob Menendez, is one of the biggest embargo supporters in Congress. He's already gearing up to block whoever Obama names as ambassador. But as Democrat, he's no longer committee chair. That honor belongs to Bob Corker of Tennessee, and he has just said he believes the embargo has not achieved what we hoped. That sentiment is just common sense, but it's a big deal coming from someone in his position. He's willing to listen, whereas Menendez was not. It may well give room for other pro-liberalization (but especially pro-trade) Republican senators to speak out more. His statements also reveal something that indicates how much Cuba policy had been locked up. Corker said that no one really knows much about the embargo, so senators need time to learn. There will be hearings. That will be interesting because the pro-embargo logic is difficult to support, and hearings will require it to be articulated. This too may embolden some senators to speak out because their states will benefit. There has not been real debate about Cuba in years, and Obama has forced it to happen. One of the curious elements to the change in Cuba policy is the seemingly widely held idea that it would produce quick results. One example comes from Enrique Krauze, who argues that anti-Americanism* is now dead. This sounds nice, but it doesn't convince me. I just don't see Cuba as the source of anti-Americanism. Yes, the response to the Cuban revolution and its influence was often loathsome, but it was always intertwined with paternalism, economic penetration, and the like. I don't think this policy change really tells us whether the U.S. has renounced its "imperial destiny," whatever that exactly is. More importantly, anti-Americanism itself is grossly exaggerated. There is abundant evidence that Latin Americans view the United States favorably. Ending 50+ years of a failed policy will help keep that going, but it did not ignite it. Otto has a great chart on Colombian trade, which he posted in December but I had missed. I hope he doesn't mind me nabbing it: please click on his post too. His point was that Colombia will get hit by the drop in oil prices, which you normally hear about Venezuela. I thought of something else, which is the effect of the U.S.-Colombia FTA, which went into effect in May 2012. It was supposed to work wonders in various ways, and GDP might have made it appear that way. But it is definitely not diversifying exports. We've all heard of the balloon effect with cocaine production, whereby squeezing one country (say, Bolivia) pushes production toward another country (say, Colombia). Anti-narcotics policy therefore "succeeds" in one place but makes things a lot worse somewhere else. Apparently that is now the case with Mexico and meth. Starting in 2006, in the United States required you have an ID check to buy pseudoephedrine products, which people had been buying in bulk to produce meth. Therefore it's now being produced in Mexico and then smuggled into the United States. Seizures of methamphetamine soared at the U.S.-Mexico border during fiscal 2014, accelerating a trend that began several years ago as new laws that limited access to the drug’s chemical ingredients made it harder to manufacture it in the United States. Meth seized by the U.S. Customs and Border Protection’s San Diego field office accounted for nearly two-thirds — 63 percent — of all the meth seized at all ports of entry nationwide in the fiscal year ended Sept. 30, the San Diego Union-Tribune newspaper reported Sunday. Almost all of the meth consumed in the United States was once manufactured domestically, with San Diego as a known production hub. But a crackdown in the United States on the precursor chemicals used to make the synthetic drug has pushed its manufacture south of the border, where drug cartels find it cheaper and easier to produce and smuggle over the border than cocaine from South America, the paper reported. The history of U.S.-Latin American relations is awash with unintended consequences. What happened here is that U.S. law is having the effect of expanding a problem geographically. Charles Krauthammer weighs in on President Obama's shift in Cuba policy, but in a very curious way. He clearly isn't sure himself, which for someone as imperiously self-assured as Krauthammer is already unusual. Perhaps that's why he waited so long to give his opinion? The problem here is that Obama can't give away the store--the embargo can be lifted only by Congress. What he's doing isn't relaxing the embargo! In fact, very likely we're seeing what Krauthammer wants--Congress will keep an eye on what happens in Cuba and then decide whether to vote on greater liberalization. It's a stretch to say Krauthammer is unintentionally agreeing with Obama, but he's moving in that direction.